The Agency for Clinical Innovation, Clinical Excellence Commission, Bureau of Health Information, Cancer Institute NSW, Health Education & Training Institute, eHealth NSW, Healthshare, System Purchasing Branch and NSW Health Pathology are pleased to include the following Plenary Speakers at the 2019 Patient Experience Symposium. 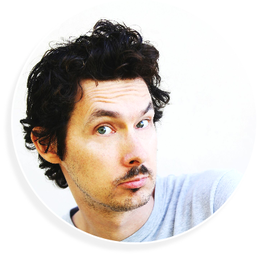 After successfully MC'ing the 2018 Patient Experience Symposium at the Hilton Hotel Sydney, Luke Escombes has been invited back to host the 2019 Patient Experience Symposium and looks forward to welcoming us all to the ICC Sydney soon! In 2015 Darren Compton and Jacqui Cornforth founded Muggera Dancers, a family group who prides itself on its cultural knowledge and professionalism. 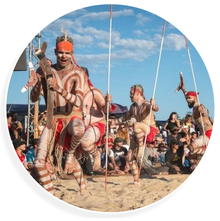 The members for Muggera come from a long line of cultural leaders, song men, world-class dancers and didgeridoo players with a formidable respect for culture. All members of Muggera have been performing and sharing their culture for many years and have been guided by their Elders over many decades. 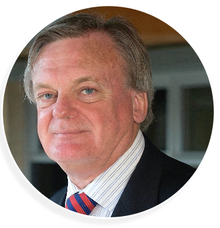 Professor Brian McCaughan is a Clinical Associate Professor at the University of Sydney and cardiothoracic surgeon at Royal Prince Alfred Hospital. Brian's major clinical interest is the management of lung cancer. 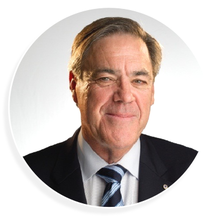 He has held a number of positions with the Royal Australasian College of Surgeons and was President of the NSW Medical Board for five years. Susan is the Deputy Secretary of the System Purchasing and Performance Division at the Ministry of Health.She is responsible for front-end system management across NSW and acts as the interface between the Ministry, local health districts, specialty health networks, and health organisations to support and monitor overall system performance. Susan started her career as a registered nurse across rural, remote, and metropolitan areas of NSW.She has held a number of senior executive positions in NSW Health including Director of Operations at Northern Sydney Local Health District and the Chief Nursing and Midwifery Officer at the Ministry of Health.She has managed large portfolios, including:acute health services, mental health, public health and health promotion, workforce, clinical training and education, and Aboriginal health. 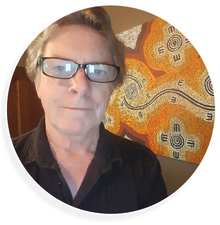 Wayne started in health over 30 years ago undertaking his generalist nursing training. For the next 10 years Wayne obtained multiple post graduate nursing qualifications in areas including Intensive Care and Cardiology and he has also obtained graduate qualification in Health Management. Wayne then progressed into a variety of nursing management roles and eventually came up to the Northern Rivers as the Executive Officer of Lismore Base Hospital. 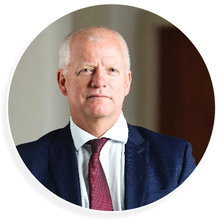 Prior to his appointment as Chief Executive Wayne has held a variety of roles in the North Coast including Manager of Planning, Director of Clinical Streams and Chief of Staff prior to his appointment as Chief Executive Northern NSW Local Health District. Helen Sanderson was originally an Occupational Therapist, and has worked in health and social care for over 30 years. She has led the development of person-centred thinking and planning in the UK over the last twenty years. Helen was the Department of Health’s expert advisor on person-centred approaches for 10 years. She co-authored the first Department of Health Guidance on Person-Centred Planning, and the 2010 guidance ‘Personalisation through Person-Centred Planning’. 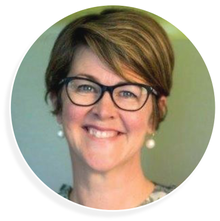 Her PhD is on person-centred planning and organisational change and she has written over 20 books on person-centred thinking, planning and personalisation. 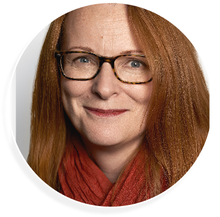 Helen leads the international social enterprise, Helen Sanderson Associates (H.S.A), working internationally to embed person-centred practices in the heart of organisations and communities - creating better lives together. H S A developed one-page profiles, person-centred reviews and Working Together for Change. They led the development of personalised care and supported planning in individual budgets in the UK. In 2016 H S A started working towards becoming a ‘teal’ organisation. This meant working as a self-managed team, bringing your whole self to work and seeing their purpose as evolving. Helen is a certified Holacray Practitioner, a process used in self-management. Helen’s purpose is to demonstrate new ways of working, where the wellbeing of people and colleagues’ matter, in ways where communities benefit. This has to start with compassion, for ourselves, each other and together in communities. Two years ago Helen founded a new organisation called Wellbeing Teams, to demonstrate how a provider can use person-centred practices in supporting people to live well at home. Wellbeing Teams are self-managed neighbourhood teams inspired by Buurtzorg. She is one of 50 New Radicals in the UK, and has won multiple awards for innovation in health and care and value-based recruitment. 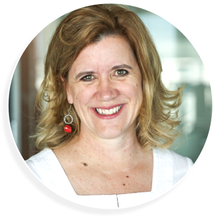 Helen is a TedX speaker, on self-managing teams, the inside story. Ken Hillman is Professor of Intensive Care and Foundation Director of the Simpson Centre for Health Services Research at the SWS Clinical School, University of New South Wales which is affiliated with the Ingham Institute for Applied Medical Research. 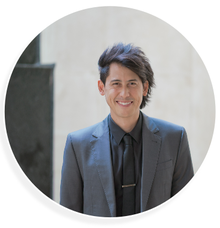 He is an actively practising clinician in Intensive Care at Liverpool and Campbelltown Hospitals. He graduated from Sydney University and trained at St Vincent’s Hospital in Sydney and St. Bartholomew’s hospital in London. He was the first candidate to pass the Australian intensive care examination in 1980 following which he became the Director of Intensive Care at Charing Cross Hospital in London before returning to Australia to become Director of Anaesthetics, Intensive Care and Coronary Care at Liverpool Hospital in Sydney. 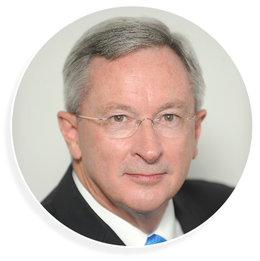 He has over 185 peer-reviewed publications; 65 chapters in textbooks; co-authored an intensive care textbook; co-edited several textbooks; and written two books – Vital Signs and A Good Life to the End.He has been awarded over $24 million in grants, has been an examiner for 12 years in intensive care and has held many professional positions related to health. He is internationally recognised as a pioneer in the introduction of the Medical Emergency Team and is part of the Executive of the International Rapid Response Society.He has published extensively on the care of the elderly frail at the end-of-life and has a NHMRC Program grant to continue research in this area. In 2016 he was an invited presenter at TEDx which was held at the Sydney Opera House. Ken's research now concentrates on Health Services Research, especially in relation to the potential inappropriate health management of the elderly frail.He is also the recipient of the Order of Australia for his work. 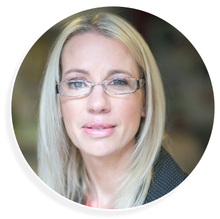 Emma Gee is an acclaimed International Inspirational Speaker & Author, offering her thoughts and solutions on person-centred care and resilience through her keynote presentations, workshops and consultancy. With a background in Occupational Therapy and as a Stroke Survivor, Emma is a renowned expert and a living example of what it takes to step in another’s shoes and truly bounce back in life. Today, and thousands of presentations later, Emma as an Inspirational Speaker has incredibly broad client group: from healthcare (associations, hospitals and rehabilitation facilities); businesses & corporate events; community organisations; through to educational facilities. She has also just published her first book entitled Reinventing Emma. Emma is passionate about enhancing person-centred service delivery and resilience in the lives of all she works with and promises to leave her audiences inspired to bounce back and step up. Emma Gee’s signature phrase is “that it’s not what happens to you that matters, it’s how you choose to deal with it!” will see her audiences moving past life’s hurdles to what’s possible. Don is the Founding CEO of The Malpa Project which delivers innovative projects across Australia to assist Indigenous communities take control of their health futures. As an academic Don has trained some of Australia’s foremost journalists and as an adjunct professor trained Indigenous business students from across Australia. He served on the NSW Clinical Excellence Advisory Board. Don is a documentary film producer and journalist with programs aired on the ABC, SBS, NITV, BBC and commercial networks. He was awarded a United Nations Media Peace Prize and served on the ABC Advisory Board. He is a Winston Churchill Fellow and has been adopted into the Warlpiri and Pintupi people of Central Australia. At a moment of the most extraordinary breakthroughs in our understanding of the human brain, Jordan has a magical combination of technical brilliance with the unique ability to inspire people. A truly inspirational communicator, Jordan presents on technology and the power of the mind at prestigious events internationally including Think Inc., Wired for Wonder, and the Engineering for Medicine and Biology Conference – the world’s largest annual biomedical conference. A hot topic of discussion in the media, Jordan’s amazing work has been featured in a range of TV, radio, magazine and newspaper interviews, including ABC’s Catalyst and Channel TEN’s The Project.